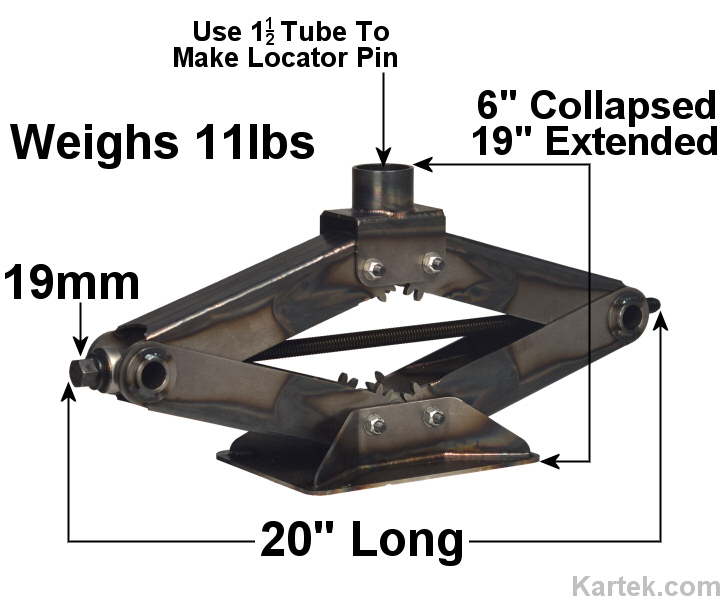 You'll weld 1-1/2" tubing (listed below) on the bottom of your chassis to make a locator pin. This ain't your conventional scissor jack. ES Motorsports from Rialto, CA created this jack to withstand harsh offroad racing conditions. Completely tig welded using 4130 Chromoly and only weighs 11 pounds. You'll use the same 19mm socket on your electric impact wrench for your wheels as you will for this jack. Rated at 1-1/2 tons.